Tuesday this week I had the privilege of attending a (my first) spin class at FLY in downtown Boston. ClassPass is this new concept where you pay a monthly fee for up to 10 classes per month at some of the BEST studios in Boston!! Last night was the launch of the ClassPass program here in Boston, studios like Equinox, C2 Pilates, BURN Fitness Studio and FlyWheel are just a few of the ones they plan to launch with, adding new studios each week! Back to this being my FIRST ever spin class… and the day after I did my first T25 workout (which was so tough).The first ten minutes were the WORST, my feet were clipped in and the super buff instructor told us to get into third position – instantly I wanted to figure out how to unclip my own feet… Once I realized there was no way I could figure that out – I just pushed through. By the end of class I felt SO good!! 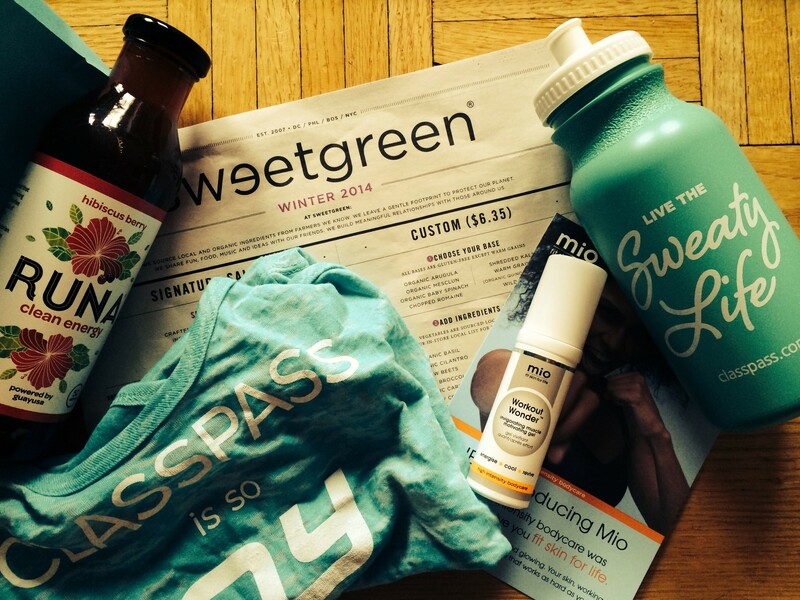 This entry was posted in Fitness, Home and tagged class pass, classpass, flywheel, spin class, sweetgreen.